Creativity is a peculiar thing. To everyone, it looks like as if you’re blessed with an artistic gene, but only you know that you aren’t doing anything extraordinary. You feel both humbled and embarrassed when you get appreciated for your work. You feel like an impostor as you know that work just naturally happened and you didn’t have to put in a lot of effort for it. When I look back in time and think what prompted me to choose this career 13 years back, I can only remember one reason. I always wanted my work to be practical, diverse, something that can help me think out of the box. Something with which I can help people do their job better. So that’s how my journey as a designer started. I wanted to make digital projects better. The prospect of impacting someone’s life positively through design looked enticing. At Quovantis, I’m responsible for getting married to users’ problems, design thinking, and breathing life into the vision of our clients through design. On most days, my work revolves around understanding the users’ pain points. It means a lot of listening, nodding, and then presenting my understanding of their world. Then comes the challenging part- the part where I envision design options from their understanding and run validation loops. Why challenging, you may ask? Because it is not easy to step into someone’s shoes and feel their needs and wants. As humans, we are always wary of our own problems and we hardly take note of what others might be going through. And this is where my challenge to grow as a designer takes over me. The very thought that I might not be doing justice to my work paralyzes me. I wanted to say it aloud as an acronym. But as you can see, it’s a pretty offensive word, I thought I would just let it be. You only realize the importance of reading when you develop a habit of it. All those reading quotes which tell you, how books are your most loyal friends, are true. I was not an avid reader before. I always resolved to read as the last option. But now I have realized how many years I have wasted away without books. Now I feel that there are so many good books and so little time. But it’s better late than never. I took recommendations from people who are avid book readers. Tarun and my other colleagues helped me with few very good books to start with. 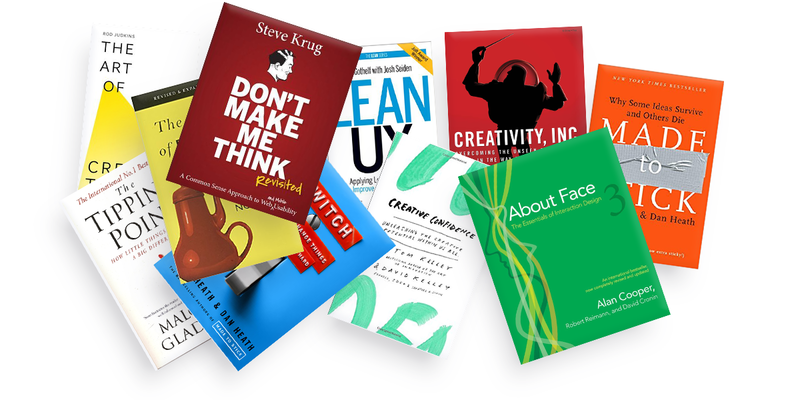 In 2017, I purchased About Face 3, Don’t Make Me Think, Design of Everyday Things, Creativity Inc., Made to Stick, Switch, Creative Confidence, The Tipping Point, The Art of Creative Thinking, and Lean UX. As of now, I have read only five of them and the knowledge I have gained is immense. Whatever I learn, I make it a point that I write about it and share with the world. I was not very confident about writing before. But I think as you start reading more, writing comes out as a positive outcome. 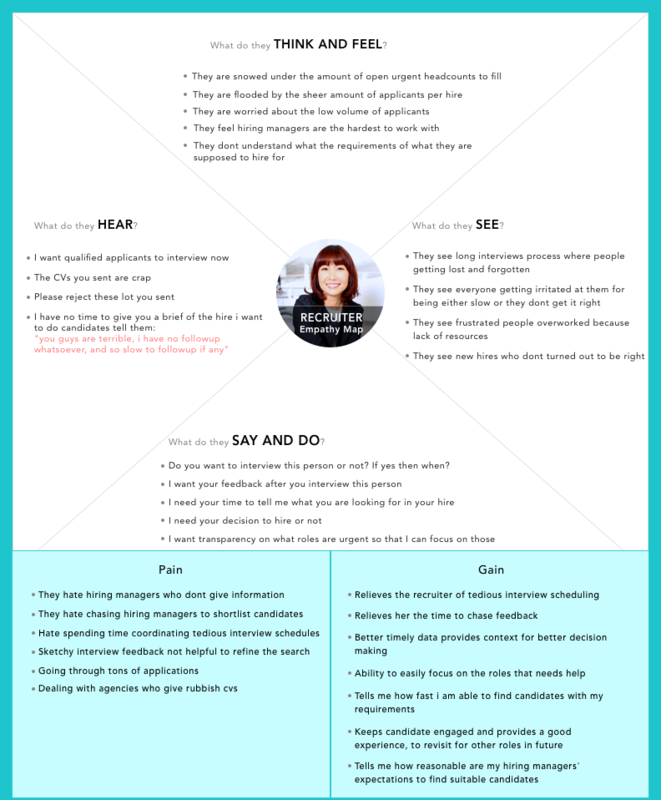 I wrote some blogs for Humble Bits– about Usability Testing and how to perform it. Before that, I wrote about human errors and their solutions in product design, principles that I follow when I have to design informative dashboards, and an introductory blog on web accessibility. I also follow a lot of publications online- Medium (of course), Smashing Magazine, UX Planet, UX Pin Blog, UI patterns, InVision’s blog, NN Group– to name a few. These publications post some of the best content regarding design and design patterns. The unapplied knowledge is almost always useless. Reading and discovering new things gives you that intrinsic enjoyment but if you don’t apply what you learned, it will eventually fade away from your memory. The best way to retain it is to apply it and learn by doing. I also started implementing my learning in the work that I do. For example- One of the very first steps in design thinking is creating Empathy Maps for the end users of the product that we are going to build. As a designer, it is our primary role to advocate for our users and to do this we need to understand our particular users and make other stakeholders understand about them as well so that we all have a shared understanding about them. Another example that I can share is wireframing for a rapid iterative design. 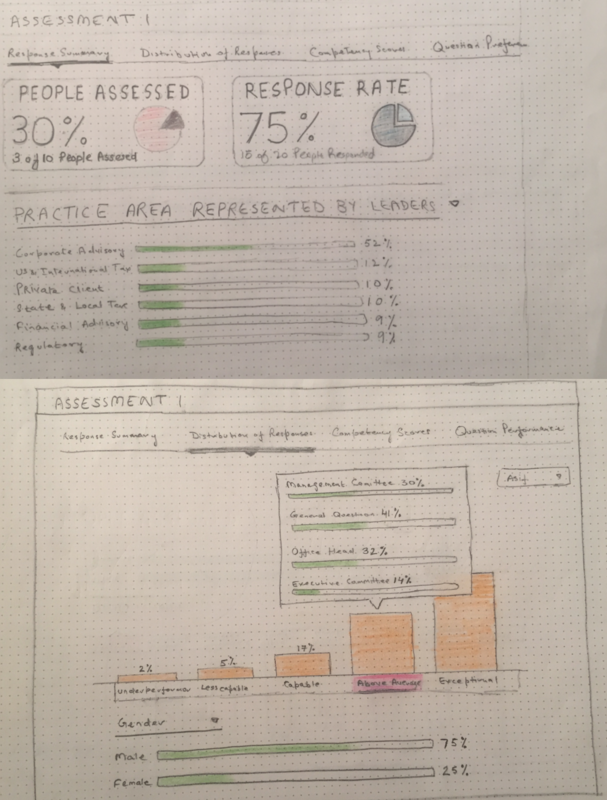 Below is one of my hand-drawn paper wireframe where I tried to put the data the way it could be easily perceived and understood by its intended users. Wireframes helped me in discovering major usability issues in advance. I saved a lot of my time and resources and got meaningful feedback on this. No matter what you pursue in life, your learning should never end once you receive your degree or when you start a job because you’ll need to continually sharpen your skills as per the new trends. Reading and applying is just the beginning. The key to growth is identifying and embracing your unknown unknowns, that is, the ones we don’t know we don’t know. No matter how many years of experience you have, there will always be something new that you can learn about. So, you have to constantly stay updated with the latest trends. Don’t keep a fixed perception of design. Update yourself with new design tools, new trends, new software. There is literally a wealth of knowledge just waiting to be discovered. So apart from blogs and books, I often take up courses from the internet. There are many paid design courses created by industry leaders and experts, Some of those platforms are- Coursera, Lynda, Udacity, Bloc, Interaction Design Org. Although all of the above platforms have the best course material, still you have to do a selection based upon your context of utilizing the course which should have some good ROI. I did a thorough research and cross-compared based on my work to conclude that IDF (https://www.interaction-design.org) fits in with my requirements. Their yearly membership fees for professionals is of $96 which gives you access to as many courses as you wish. To me, that’s quite cost-effective. IDF provides a designer’s community platform where designers from all over the world can interact with each other and also you can meet designers from IDF community within your area. I have learned a lot from these courses. Building a good design takes a lot of behind-the-scenes efforts and I know for sure that these courses are responsible for making me a better designer. Every time I solve a problem with my implementation, I am delighted to see how my designs have evolved over the time with practice. In everything that you do, if you are not asking for feedback, chances are you are making a fool of yourself. As a designer, a lot of your work might not see the light of the day. But that should not discourage you to produce more. In fact, share your work. Share it with people who understand design as well as with those who don’t. Observe and comment on other designer’s work and ask for their genuine feedback on your designs. I used to work very closely with my team. But now I always make it a point to share it people outside my team, get their feedback. I ask them to take the usability test, record their friction points. And this helps me in making my designs better. There are a lot of things that I still don’t know. I am still learning to be better at my craft. But I make sure that by learning every day I remove my impediments. I hope I was able to convey my feelings in this blog about why learning at every stage of your career is important. Every week we share stories about growth, culture, and leadership that you wouldn't want to miss. Join our mailing list.